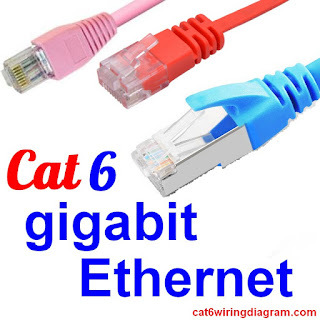 CAT 6 wiring is a standard cable which is used for some gigabit Ethernet standards. It is available in two different forms. First one is used in plenum cables which are composed of solid copper conductor and second one is used in non-plenum cables which are composed of braided strands of thin copper wire. The benefits of using CAT 6 wire are to restrict the system noise and crosstalk. The CAT 6 wire has twisted four copper wires which are just like other standard copper cables. It supports gigabit Ethernet and speeds up to one gigabit per second that supports communications more than twice the speed of CAT5e cables. The 1000BASE-T which is also known as IEEE 802.3ab is one of the Gigabit Ethernet standards used over a copper wiring. Gigabit Ethernet wiring uses different technologies for transferring Ethernet frames with the rate of one gigabit per second. It includes different standards of physical layers for gigabit Ethernet such as 1000BASE-X, 1000BASE-T and 1000BASE-TX. There are some other specific gigabit Ethernet standards which include 1000BASE-CX, 1000-BX10, 1000BASE-LX, 1000BASE-ZX, 1000BASE-SX and 1000BASE-LH. But CAT 6 gigabit Ethernet use only 1000BASE-T, 100BASE-TX/10BASE-T and 10GBASE-T. The 10GBASE-T is one of the fastest Ethernet standards which work ten times faster than the standard gigabit Ethernet. Gigabit Ethernet wiring uses all eight wires which is in four pairs and different levels of voltage to achieve higher data rate.